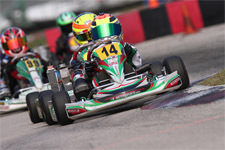 After earning podiums, wins and placing third in the Rotax MAX Challenge portion of the 2015 Florida Winter Tour, top karting talent Anthony Gangi Jr. would turn his attention to other packages for the second quarter of the year. 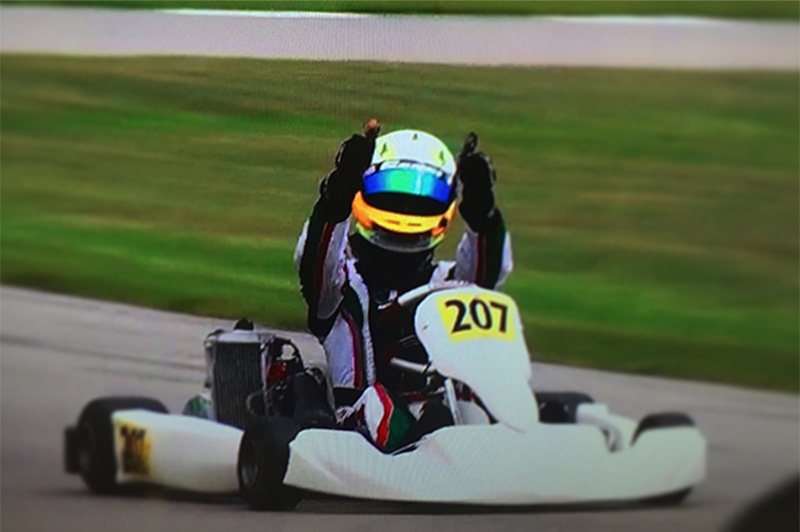 Returning this weekend to his Rotax Junior set-up for the annual Rotax Summer Shootout, the GT7 Motorsports / Tony Kart pilot was near perfect as he prepares for the upcoming chance at this third US National title during the 2015 Cold Stone United States Rotax MAX Challenge Grand Nationals. Heading to the Carolina Motorsports Park (CMP) facility in Kershaw, South Carolina, site of next month’s Grand Nationals, Gangi Jr. topped the time sheets during practice sessions leading up to the weekend’s official on track action. 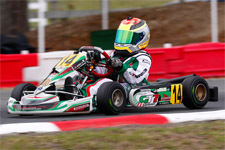 As the ‘unofficial tune-up’ before the August 5-9 event, Gangi Jr. and his crew would work on set-up and gain track knowledge as competitors ran the same configuration to come for the premier Rotax race in the country. 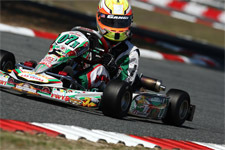 Flexing his muscles during the first official session on Saturday, Gangi Jr. claimed the pole position against a stout field of Rotax Junior drivers. Crossing the stripe first in the ten lap prefinal, the two-time US Grand National champ was relegated back five positions, the penalty imposed for illegal tire rotation. Moving past his only flaw on the weekend, Gangi Jr. powered back to take the main event win in commanding fashion. 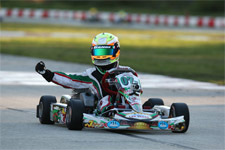 Sunday saw Gangi Jr. complete a perfect day, take pole position, prefinal win and his second main event victory at the CMP circuit. With his commanding performance, the young gun is certain to be a favorite heading into the Cold Stone Grand Nationals. 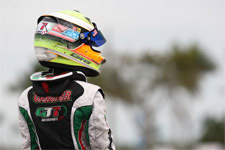 Gunning for this third US Rotax title after taking the Micro Max title in 2010 and Mini Max in 2012, Gangi Jr. will look to become the 2015 Rotax Junior champion, and claim the Rotax MAX Challenge Grand Finals ticket that comes with it. Up next for Anthony Gangi Jr. is a trip to the New Castle Motorsports Park in New Castle, Indiana for the second stop of the Superkarts! USA (SKUSA) Fikse Wheels Pro Tour - the SummerNationals. Heading into the event second in the overall Pro Tour TaG Junior standings, Gangi Jr. will look to have a strong showing at the fast and flowing New Castle facility. 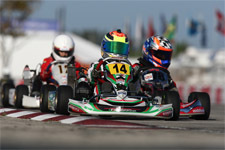 With a podium finish from May’s SpringNationals, the rising star hopes to walk away with the victory and command of the TaG Junior points in advance of the annual SKUSA SuperNationals.